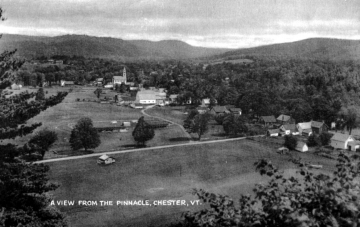 The historic image gives a bird's eye view of town from a nearby hillside. 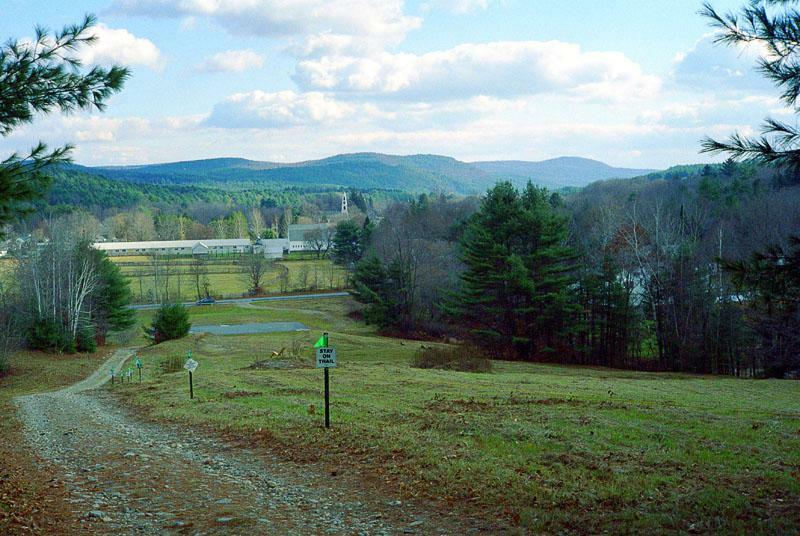 There is a racetrack with viewing stands in the open fields on the left side of the photograph. There are also houses, farm buildings, and a church visible in the town. Forested mountains surround the valley town. It looks like summer. The title at the bottom of the image reads, "A view from the pinnacle, Chester, Vt."